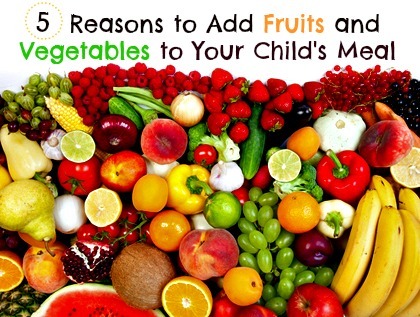 You already know fruits and vegetables are a necessary part of your family’s diet, but do you know why? I actually didn’t. All I knew was produce contained goodies that our bodies need to keep us healthy and strong. In an effort to understand why fruits and veggies are such a vital part of my kids’ diet, I decided to do a little research. Check out what I learned about why we should be adding fruits and vegetables to every meal.